Shopping is dull and getting duller. Every English high street has the same shops with the same stock - apart from slight adjustments for "demographic profile" - the polite way of saying class and income. Coffee is a choice between Starbucks, Caffé Nero and Costa, while clothes come from identically branches of Next; Gap, M&S, H&M..
That's unfair, of course. I still frequent small shops and coffee bars where the friendly greeting doesn't come out of a training manual. But for fencers, England offers a few shops magical as anything in Diagon Alley reached through locations as surprising as the Leaky Cauldron. I haven't seen the new Leon Paul shop. They packed up and moved to Hendon from the little industrial estate where they were hidden near the city farn in the hinterland of St Pancras. Blades and Duellist offer masks, jackets and breeches in small, suburban shops south-west of London. I don't know what locals make of the display of epee and sabre so close to the sweetshop, newsagent and bookie. Last week my son and I ventured to Duellist for the first time, changing from bus to suburban train for Twickenham before walking to Isleworth. Not a glamorous journey, for all the history and evocations of the names, but a short voyage on a busy road with roundabouts and garages as waymarks. But trying on jackest and masks - taking practice lunges with an epee I would not buy - recalled the delights of fencing. The magic words resurfaced - not just flèche, en garde, balestra but even tang and plastron. We were eased into the expensive, side-fastening jackets before I convinced the assistant that the cheap, back-fastening ones would do. My son is growing fast while my level of fencing doesn't merit high-quality kit (although a coach did suggest 800 NN, given how often I'm hit). The young woman at the desk was mystified when I asked about chest protectors - she was a temp, answering the phone, amazed by a world in which mothers boast of stabbing their sons. Qn hour of fitting and fencing talk later, we'd each found a jacket and mask. I'd ordered new breeches for my son and bought him padded socks. We lugged silver-gray plastic bags to central London and looked at the South Bank; the gates and guns where Downing Street begins; Brian Haw's tiny peace camp dwarfed and threatened by parliament; the uniformed guards at Admiralty Arch.. My son counted 109 security cameras in an hour. I had cameo roles and walk-ons in movies I'll never see. Cameras, barriers, sub-machine guns in the hands of smiling police all tell a story. Rulers fear the ruled. The bus-ride home took three hours. When we got home, I should have thrown out my old, frayed jacket and rusted mask patched at the back with silver tape. They've been illegal since January. I needed to replace them. But they are old friends. I'll take a while to accustom myself to a fresh jacket. It will be October before the padding on the mask moulds itself to my face. Well, at least he was at the siege of La Rochelle, although I don't know quite what he was doing there. He would have been on the outside rather than the inside, I think. I didn't get that far in the book and in films my attention is drawn from plot and place to swordplay. I took my copy with me - a fine copy, with illustrations. Somehow my attention drifted ..
For all the towers, it's hard to imagine d'Artagnan - or a siege - in La Rochelle today. It's a placid holiday-place where leisurely police in shorts cycle by the harbour. Tourists wander through warm streets and enjoy pizza or moules-frites by the old port. Today the biggest excitement is mini-golf. This might have provoked rash young d'Artagnan even more than the casual insults of Athos, Porthos and Aramis. There'd have been blood on the green well before the eighteenth hole. I did my best. There were occasional moments of triumph when the ball magically leapt through a narrow gap or looped the loop in the right direction. 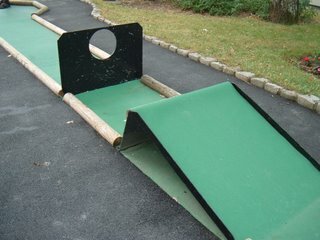 Alas, it also formed the habit of circling the hole neatly before resting on some inconvenient edge. I lost badly. My opponents laughed. d'Artagnan would have seized his gauntlet and slapped each round the face. He'd probably have challenged the giggling children for good measure. 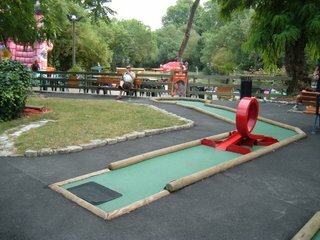 But I'm not d'Artagnan and lack ambition in mini-golf so hazards of the pitch were a minor annoyance. I don't know if d'Artagnan went swimming, but swimming in the sea is a delight comparable to wielding an epee. 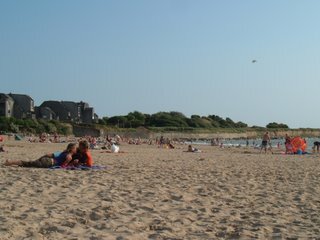 The beach at Minimes was a mere bus or boat-ride from the old port. I preferred the "bus de mer". It's a sandy beach full of families and lovers. Most of the swimmers were French, though there was one loud cry of "flippin' 'eck" as the tide crashed hard against one family. The sea was warm after the first few moments and the slant of the beach made it easy to reach a good depth for swimming and jumping the waves. French beaches are carefully managed compared to English. Showers are provided free of charge and are watched by a gardienne. Here she was a pretty young woman playing the violin, joined by two friends with accordions. There was a juggler on the beach too, practising. There should have been swordfights, I know, but I wasn't in the mood. Even in the town where we rented a house two doors away from a fortress, I climbed the hill carrying nothing more lethal than a baguette and bag of croissants. Yet the town too recalled past duels. Its name was Saint Savinien and Savinien was the first name of the glorious poet and fencer, Cyrano de Bergerac. 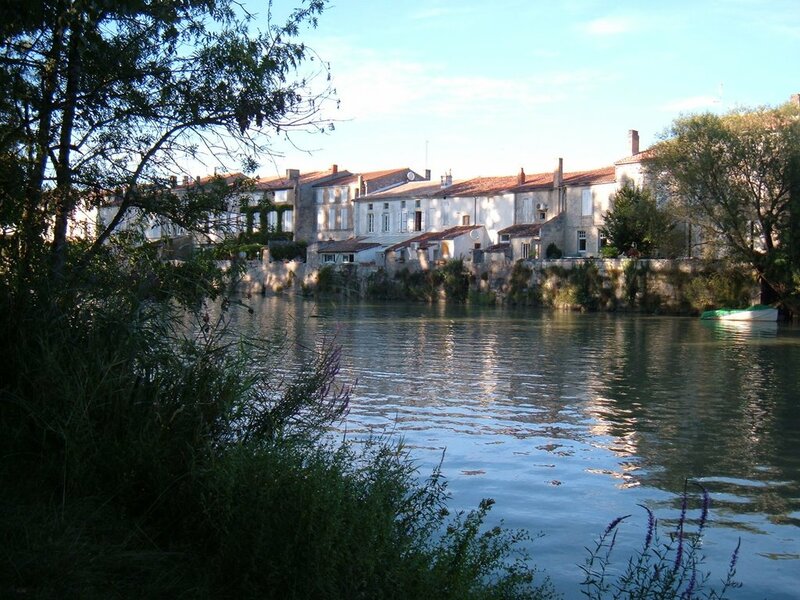 The air was warm and light fell magically on the expanse of the Charente. 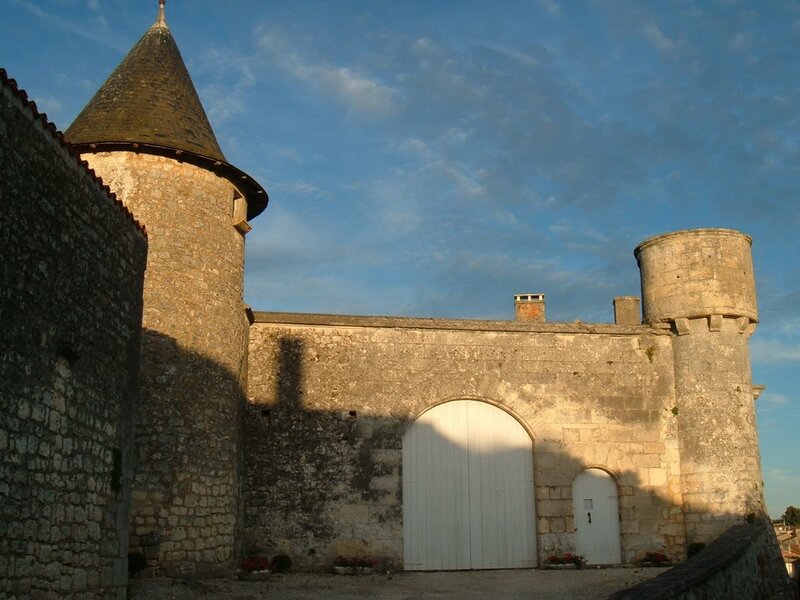 We drank pineau, the local apperitif/digestif of the cognac area. It was holiday time. We watched TV. Daily news came from Lebanon, Israel, Gaza. Sometimes rapid French obscured who was killing or being killed. It was hard to work out why. Somtimes the back of a child's head or a mother's hand caught the eye - familiar, tender, lost. There was pain beyond grief - beyond words. 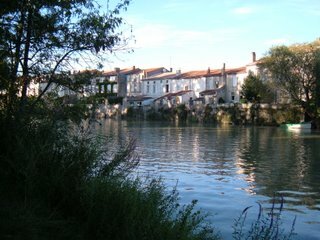 The Charente continued to the sea. No fencing at all - just wandering round France and barely doing anything (apart from some marvellous swimming in the sea at La Rochelle). I limited myself to a very few books and haven't opened all of them yet. I finished this - an enthralling and horrifying account of life in Uzbhekistan, with a coda in Britain. The author, an ex-diplomat, doesn't take himself too seriously but he knows what is important in ethical terms. Everyone should read it - for a longer review see Areopagitica. For more by the author, see Screw Bronze. I'm about a third of the way through but have wanted to avoid Zed's difficult life for a while, which is a tribute to the book. 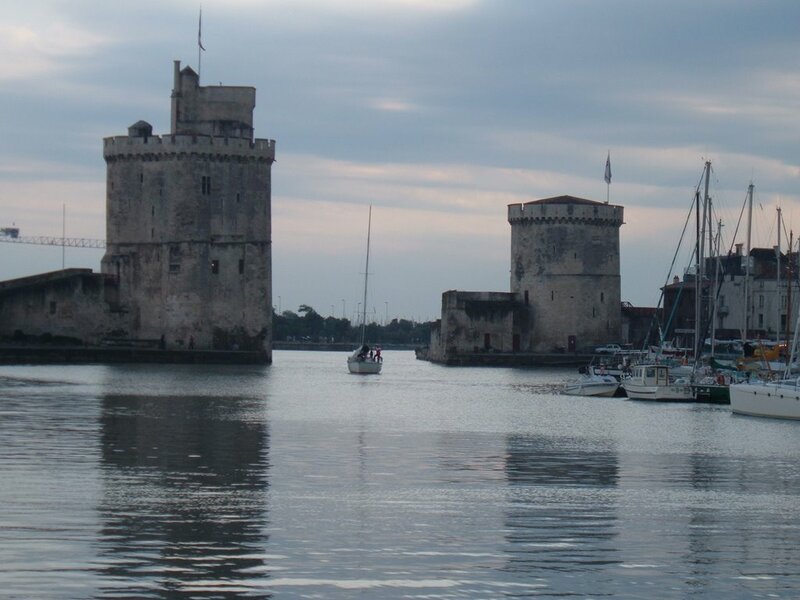 I planned to reach the account of the siege of La Rochelle. Instead I've reached chapter 3. It will probably be as good as the other novels of hers that I've read, but I haven't opened it yet, alas. I've dipped and this is a familiar and loved book.